ALLEGRA BOVERMAN/Staff photo. Gloucester Daily Times. 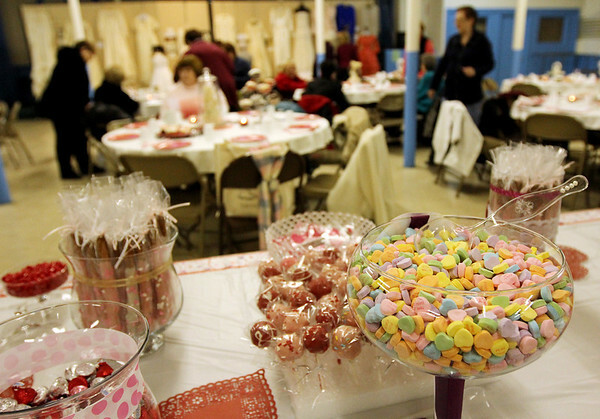 Gloucester: The Women's Guild of Holy Family Parish held a "Romance"- themed evening on Tuesday night at St. Ann Church. Members brought three generations of wedding dresses to display, wedding photos and wedding album, cake toppers, bridesmaid and mother-of-the-bride dresses and other memorabilia. There was a candy table, cupcakes on every table, and champagne, too.